After an accident, the opposing party’s insurance adjuster will contact you. When speaking with the insurance adjuster of the opposing party you must be very careful. Some insurance companies give their representatives scripts to trick you into settling for much less than your claim is worth. Here is what to say to an insurance adjuster to protect your personal injury claim. Before you discuss anything about your accident, get the following information to identify who you are speaking to. You may be very angry about the accident and the injuries you are suffering. However, do not take out your anger on the insurance adjuster. Doing so will not help you get a full compensation. An insurance adjuster only needs to know your full name, address, and phone number at this point in your claim. You may wish to tell them the type of work you do and where you are employed. Any further information does not need to be discussed or explained such as your schedule or your income. An insurance adjuster or other representatives from an insurance company may try to get you to “give a statement” about how the accident happened. Or they may try to get you to start talking about the accident in casual conversation. Politely refuse to discuss anything regarding the accident except the following. The identity of any witnesses. To avoid giving additional information tell the insurance adjuster the investigation of your accident is still going and that you will discuss greater details “at the appropriate time.” This later time is usually when you write the demand for compensation. An insurance adjuster will also ask about your injuries. However, do not give a detailed description yet. 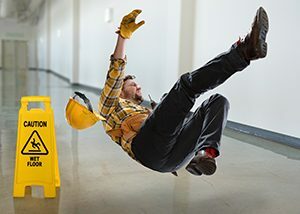 You may not notice all your injuries immediately following an accident or your injury may be worse than originally thought. Giving details of your injuries to the insurance adjuster could hurt your case. Many insurance adjusters will try to force you into giving a recorded statement. They may also casually ask you to record the phone conversation, claiming it will help to protect you. Never give a recorded statement or have the conversation recorded. You have no legal obligation to have the conversation recorded and it is against the law for an adjuster to record without your permission. Your personal injury attorney will help you to write a written statement to submit to the insurance company later. This will give you time to think clearly of what happened as well as obtain a proper medical diagnosis. During your first conversation with the adjuster, tell them firmly that you decline to provide a recorded statement, but you will provide it in writing later. Sometimes an insurance adjuster may offer a settlement during the first or second phone call. A quick settlement saves the insurance company work and are usually for a much lower amount than your case is worth. Don’t settle. During the first conversation with the insurance adjuster, make it clear that you will not be discussing much over the phone. Set limits on any further phone contact. Doing so will limit the nuisance of the insurance adjuster calling to offer a low settlement. 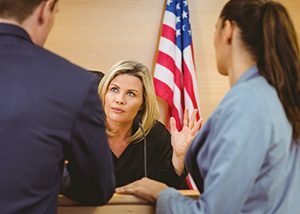 More importantly, until your case has been investigated, you have determined the extent of your injuries and sought medical help, you will not have adequate information to give. Giving the insurance company inaccurate information will hurt your case. After speaking with the insurance adjuster, write down the information you received as well as the information you gave them. You may also wish to write down any requests you made of the insurance adjuster, so you have a written record of doing so. 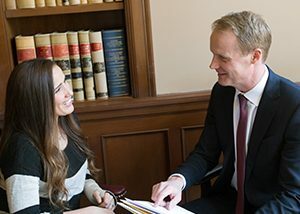 When you’ve been injured in an accident, you need an experienced, aggressive and trusted personal injury attorney in Eugene on your side. Parke Gordon Law Firm has been able to obtain impressive settlements for clients in and around Eugene, Oregon. Contact our law office today for a free case review.